How to restore voice memos on iPhone 8 from iTunes backup? How to restore voice memos on iPhone 8 from iTunes backup? How to retrieve voice memos on iPhone 8 from iTunes backup? How to regain voice memos on iPhone 8 from iTunes backup? How can I retrieve an accidentally deleted voice memo from my iphone 7? Perhaps voice memo is not considered as a significant feature for most iPhone users, but actually a lot of iPhone users use it every day. Voice memo app allows you to record brief memos to remind you of to-do list, phone numbers, or even grocery list items. Sometimes, people never recognize its importance until you lost it. Take a deep breath, you can get your lost voice memos back from an available backup unless you don’t want to wipe out existing data on your device. If this also sounds like your dilemma, iFonebox will give a hand to you. As a professional and trustworthy iOS data recovery software, iFonebox is such a powerful tool that can assist you to restore only voice memos on iPhone 8 from iTunes backup. Sounds unbelievable, isn’t it? As we all know, Apple doesn’t provide backup service unless restoring the whole one to your device, which would overwritten all existing data you have. 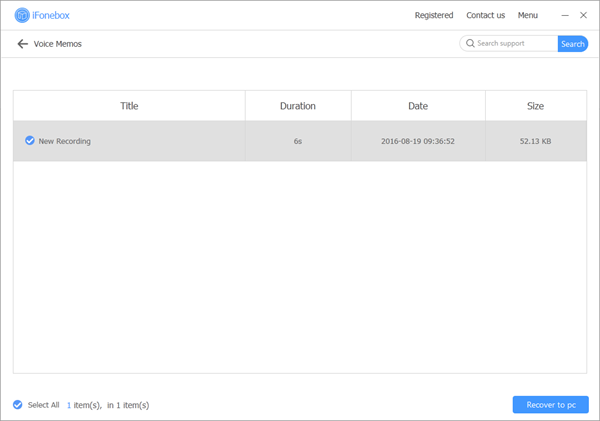 However, iFonebox can detect right through your backup then selectively restore the target data after a comprehensive scanning. Actually, iFonebox is an extraordinary multifunctional iOS data management expert. 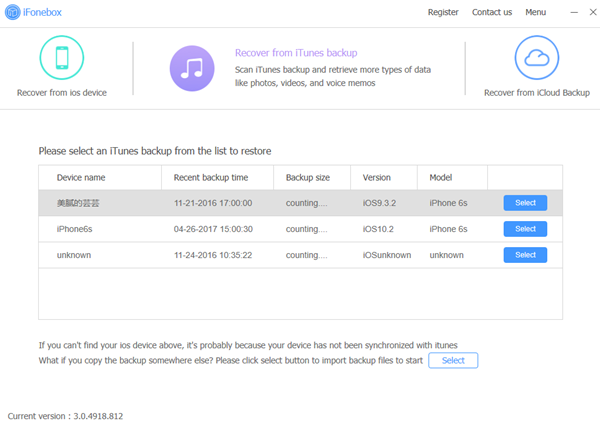 In addition to retrieving voice memos on iPhone 8 from iTunes backup, it is also a saviour for users that suffer from the data loss but have never backed up before. With impressed data detection technology, iFonebox is able to detect deeply right through your device then extract them out of it easily. Can’t Miss: How can I recover lost contacts without backup from iPhone that running iOS 11?